Welcome to my first blog post ever. Thanks for stopping by to check it out. It’s my hope to encourage others who, like me, didn’t grow up thinking they were artists and never went to art school. In addition to presenting finished pieces, my greater wish is to share both my process and progress as an artist, as well as to connect with like-minded people on this delightful and sometimes scary journey. As Matisse declared, “creativity takes courage.” How right he was! Let us then resolve to be “Fearless Artists” and share our unique experiences and view of the world through our art. Looking back, I guess I was always creative, but couldn’t see or appreciate all the pieces of the puzzle until becoming interested in mixed-media a few years ago. Maybe it was also a function of turning 40! Nevertheless, one of my earliest creative influences was undoubtedly my grandma, Sara Gosen. 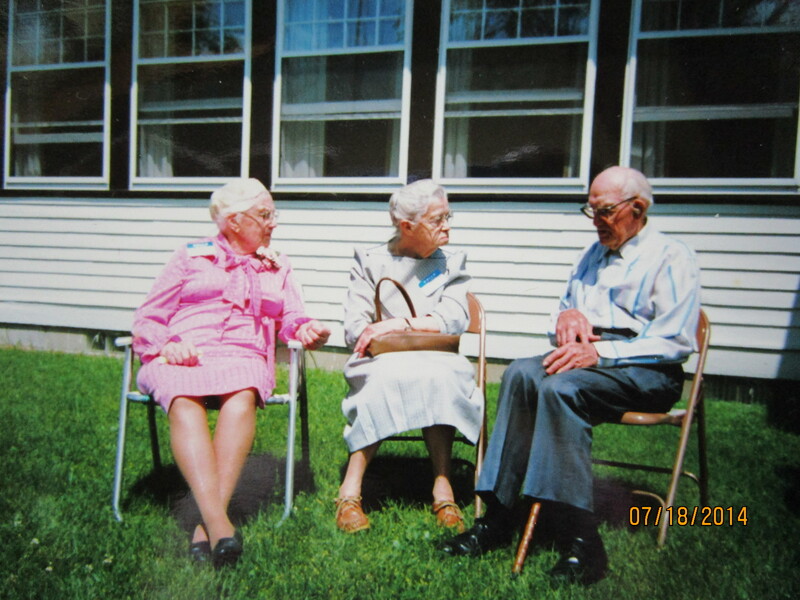 Trips to visit my grandparents in southern Minnesota were always full of anticipation and delight. Everything about their house was mesmerizing to me, from digging for treasures in the huge farmhouse bedrooms to raiding the cookies that were sure to be waiting in the freezer. Another of the many fond memories was rushing to their living room to see what quilt Grandma had on her hand-quilting frame. 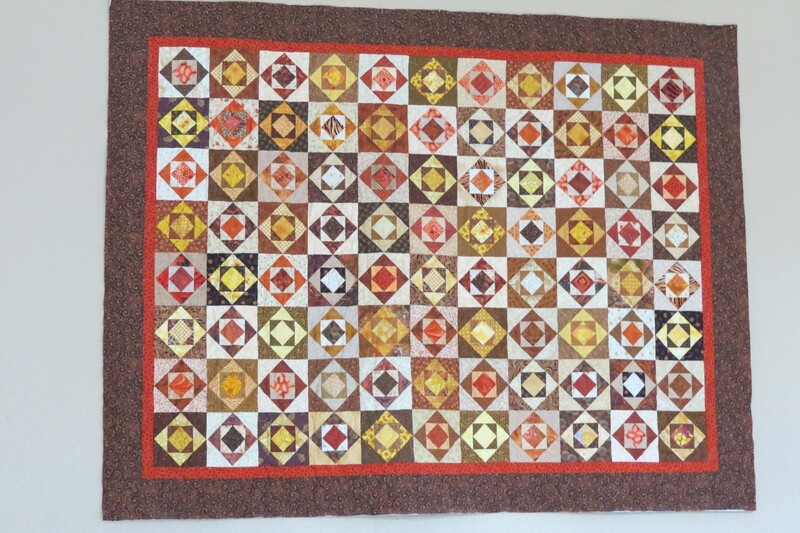 The colors and patterns in her quilts enthralled me, and I marveled at the the tiny stitches. 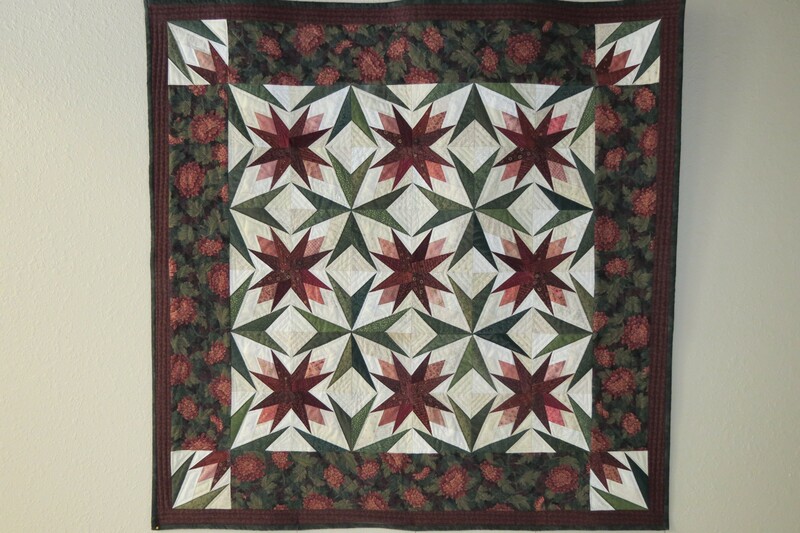 I was hooked, and yet didn’t make a quilt myself until the age of thirty-one. I spent the next ten years making quilts and various fabric-based items. 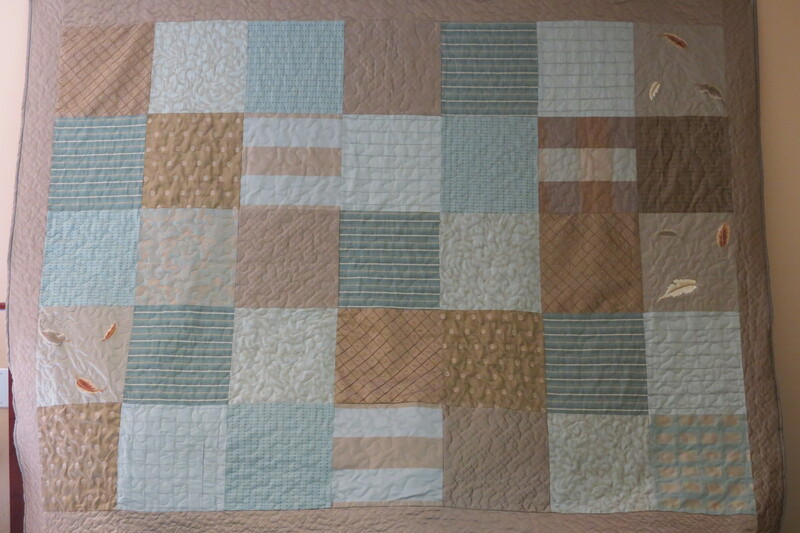 It was at that point that I started to grow tired of the perfectionism required to create a beautiful and structurally sound quilt. I needed to break free…. so please visit again to hear the next chapter. My grandma (in pink) at a family reunion in the late 1970’s.